College is not the path for you if you don't want to pay thousands of dollars or take years of courses. 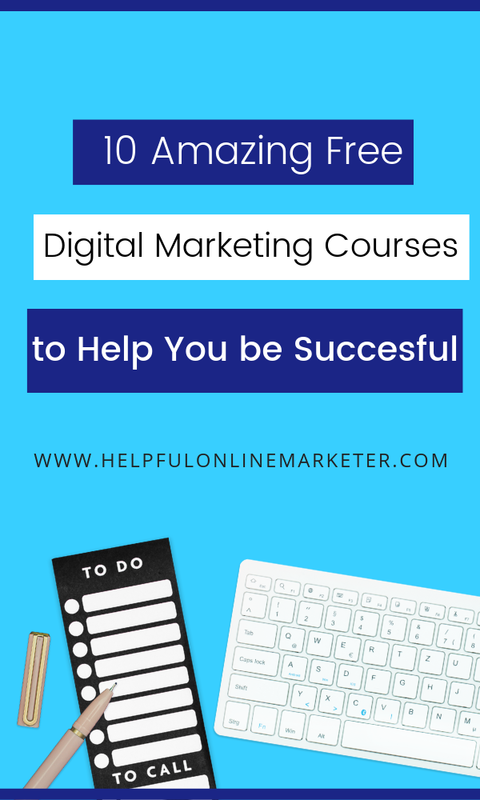 The right digital marketing course can help you start a business, start a side hustle, or jump-start your career. 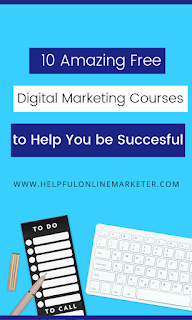 There are many fields within digital marketing itself such as SEO, Social Media Marketing, Content Marketing, Paid Advertising, Email Marketing, and more. You can start a successful career, business, or side hustle in any of them. If you are an entrepreneur any of these fields can help you. Regardless of your reason, there is a course that can help you be successful. This course is for you if want to become a content creator. If you already create content and you just want to know how to promote it then this course is for you. You don't need to add any credit card info to sign up for this course. You can take each lesson at your own pace. If you want to learn about content marketing strategy this course is for you! If you want your blog posts, blog, website, landing pages, etc. to rank in search engines then you need to learn SEO. SEO can be a little tricky to understand because there are so many elements to it. Moz is one of the leading SEO companies out there. If you haven't heard of them they make SEO optimization tools and software. This course comes with lifetime access, certificate of completion, access on mobile and TV, and 3.5 hrs of on-demand video. The whole course is around an hour. The course is centered on building sustainable traffic for business growth. SEO is a good long-term strategy that can help drive traffic to your website or blog for free. It's worth learning about. Everything you need to know about email marketing is in this course. It is comprised of around 10 lessons. Most of the lessons are around 20 mins long. HubSpot's course will help you understand email marketing. You will learn what segmentation is, how to create high-performing email, and so much more. HubSpot offers another free certification course. In this course, you will everything you need to know about social media marketing. There are eight lessons in total. Each lesson lasts anywhere from 30 mins to 45 mins. You will learn about social media strategy, how to build one-on-one relationships in social media, and more. 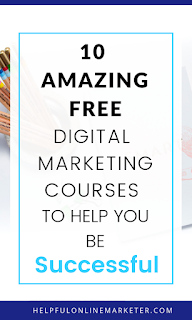 If you want a course that will teach you the basics of all the social media platforms out there then this is the one for you. If you just want to learn about Facebook you can. If you just want to learn about Instagram you can. 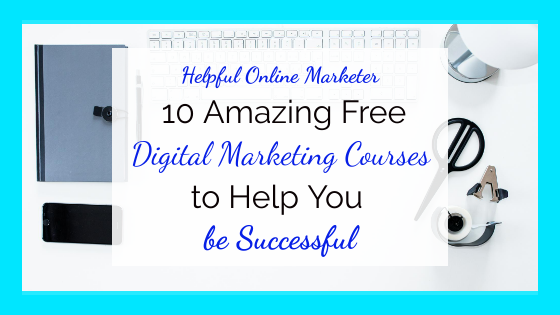 You will learn about social media in a step-by-step format. No confusing jargon or tactics. to some get rich quick scheme. It's a free 20-part course. The course will be delivered straight to your email inbox once you sign up. You will learn the 4 pillars of digital marketing: relationships, direct response copywriting, content marketing, and selling. With the Google Primer app, you learn in bite-sized lessons. You can pick and choose what you want to learn. If you just want to focus on one field of digital marketing such as web design you can do so. The lessons are around 5 mins each or less. Google makes it easier than ever before to learn at your pace. If you like my blog post please pin it on Pinterest!. 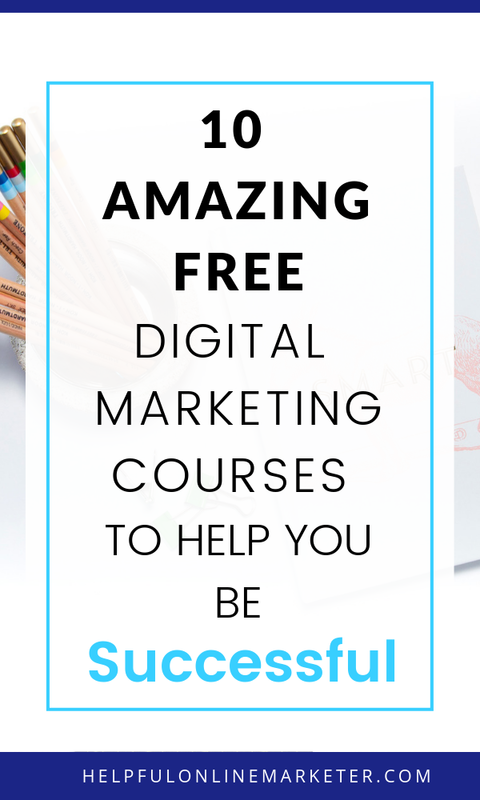 If you know of any free digital marketing courses please let us know in the comments below! Until next time take care!